We don’t normally cover jazz on Folk Roots Radio but this is a rather special event, and the perfect gift for a loved one this holiday season. 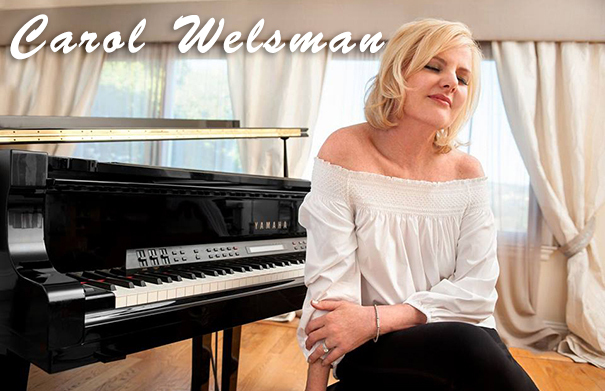 Acclaimed Canadian singer and pianist Carol Welsman will be coming to the Mary Webb Centre in Highgate ON on Saturday December 15 for a very special show of jazz and pop holiday classics billed as a Baby Grand Jazz Christmas. There will also be wine tasting courtesy of Pelee Island Winery and a Christmas Market. The show starts at 8 p.m. (Doors at 6 p.m.). Tickets are $40 in advance ($45 on the day of the concert). You can buy tickets online HERE. Carol Welsman joined us on Folk Roots Radio to chat about the show. Visit Carol Welsman online at carolwelsman.com. Music: Carol Welsman “What Are You Doing For The Rest Of Your Life” from “Swing, Ladies, Swing – A Tribute To Singers Of The Swing Era” (1999, Welcar Music) and “The Christmas Song” from “Journey” (promotional single) (2011, Justin Time) CDN.